To the folowers of this thred please be informed that my intentional post to sumining up silly word war was manipulated into irrelevant comment. Hi There Common Sense People and Watchers and Participants to this forum, have we reached solution to the initial post? I do have my own solution (posted long, long ago) nothing what present suggestions are, but where we are going??? Do we? or We do not?, shall we? or nor not, what about if we? or we do not. I did join this forum few years ago, at first it was much more informative and less "personal" compare to present. Please, those "aged" contributors to this site, please return/ refract to informative posts, please, drop "off the ****" personality maybe expressed in "priv's". Only few items were worth to mention in the last 12mth, I have seen couple of new ideas to "old" problems. Have we reached point of "nothing new in this industry"? AAAYYY, it can not be. I'm still trying to work out where the oil goes from a 4stroke outboard, it's not blowing smoke and no evidence of any leaks got me ?? .don't worry about toilet issues anymore buddy. It may ply to check your holding tank Richard Cr... Sorry I do not known your name so I do call you the most common in your area. How low will you go in your blindness? where we are going??? Do we? or We do not?, shall we? or nor not, what about if we? or we do not. I seem to remember something in Hamlet along those lines. To be or not to be,? That is the question. Funny isn't it, you are upset about the thread degenerating into a spat of name calling and then you proceed to do the same. Forums are a lot like life, if you don't like something simply move on ! If you can't move on then respond with a polite demeanor and advance the discussion. FWIW the person posting that you referred to uses the name Southace here on this forum, really that's all you need to know ! For a newborn all jokes are new!" what the hell is happening with this thread ? I work on sports boats, house boats and yachts, they mostly have holding tanks , each have the same but diffrent ways of holding the black water. If your a coastal cruiser,commercial or liveaboard you need/require a holding tank if you spend more than 6 hours aboard ! Nothing's happing sands it was just a discussion. When you live in concrete walls you just flush and hope someone cleans up the mess, on a vessel it's slightly diffrent! No need or requirement for "holding tank". One or two of these satisfys the legislation. Get a grip everyone. This is getting tiresome. So, after several more nudges appeared to be needed from other members, I'll try and be really clear. Can you two please cease this tiresome one-upmanship and just drop it. I'm losing the will to live faster than caring about who's right or who's being repressed or who's started it. Fair enough. I will not comment further on this topic. I think they use them on the Sydney harbour ferries. This is serious stuff, gases from holding tanks can kill. Southace, your being a bad, bad boy. You know that someone is going to take you seriously don't you. 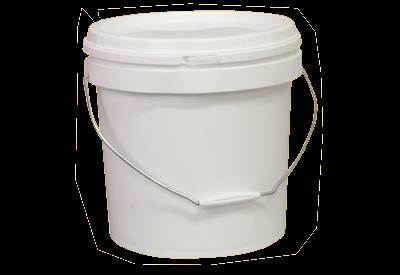 thats where Ciscos sealed bucket will save lives !!!!! I agree , as long as it's wiped clean after a few uses and no chemicals are used, Coles vinger at $1.50 a litre is my choice of cleaner for that job. "legislation". Was that in the OP?? I would buy and use wag bags before fitting a holding tank. The soiled bags could be stored in Ciscos bucket and then just put into the trash once ashore. On the mark there Jolene. Hopefully at $2.50 per bag it will take a few deposits though. in for a penny in for a pound ! Nice idea, but instead of putting up a link to an American site that doesn't ship to Australia why not put the link to where they can be acquired in Aus. I linked that site because of the good description, I had known them to be called Wag Bags and I have seen them available on ebay in the past. There are a few similar products if you research them,, Biffy Bags are another. Wag Bag may not suit every body but in my case they would be fine.